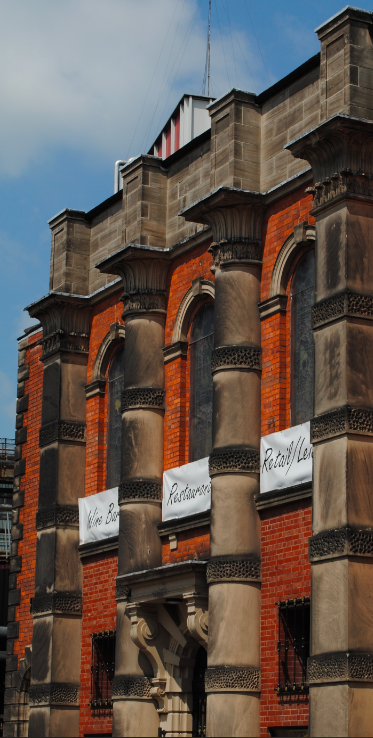 Located on George Street within a conservation area is the imposing former United Methodist Free Church. 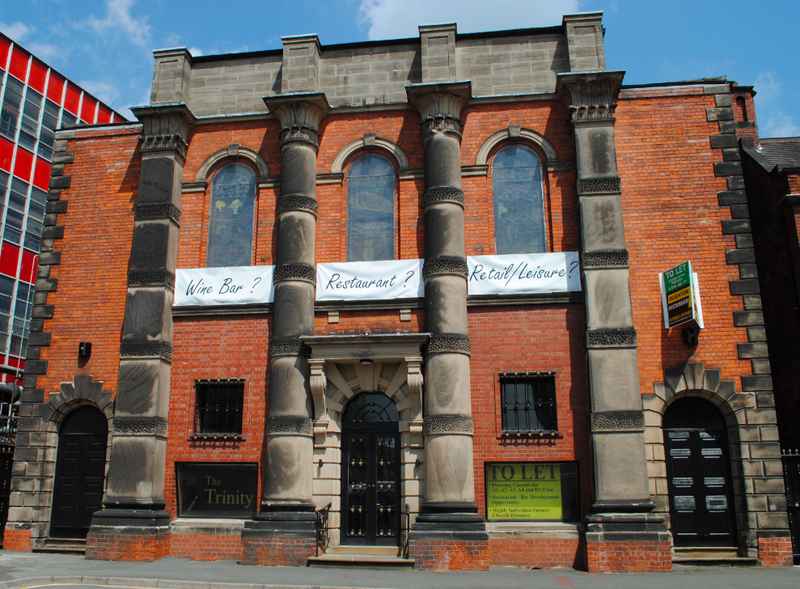 The Classical style brick chapel was opened in 1852 whilst the arched stained glass windows date to c1800. The facade of the building is dominated by four huge stone columns and stone quoins. The Hill organ from St Paul’s church, also in Burton Upon Trent, was moved to the United Methodist church in 1896 but was subsequently moved to Berlin in 2012. The church held its last Holy Communion in 2011.